Nice phone for heavy duty work. I hope that many people go for it . Cheers Nokia ! I have been waiting for a phone that IS a phone. Personally I don't need a PC in my pocket when I have a laptop in a bag, especially while those pocket-computer-phones eats all of the energy in a few days and lets me down when I need to make a call. Anyone know how many messages you could save on this? Bava, 10 Apr 2012Time to get back to basics of phone and enjoy the purpose of phone. Outstanding body, battery ... moreCould someone help me on how to watch youtube videos on Nokia C3? 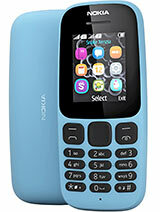 its same as nokia 1280..no change except battery life..
is it a Dual Phone handset? Quad core or only dual? thanks Nokia for releasing this handset. I will get it for my secondary phone as it looks very simple and easy to use. ... and it has a flashlight!!! Anyone wanna swap for a HTC ONE X in white? I hope it will have Snake and Space Impact. BTW, how good is the camera? Is it also in monochrome? Hope Nokia will post camera samples. a very nice phone!!!!! usefully yours!! !